Everything you need to prep like a pro. 1. 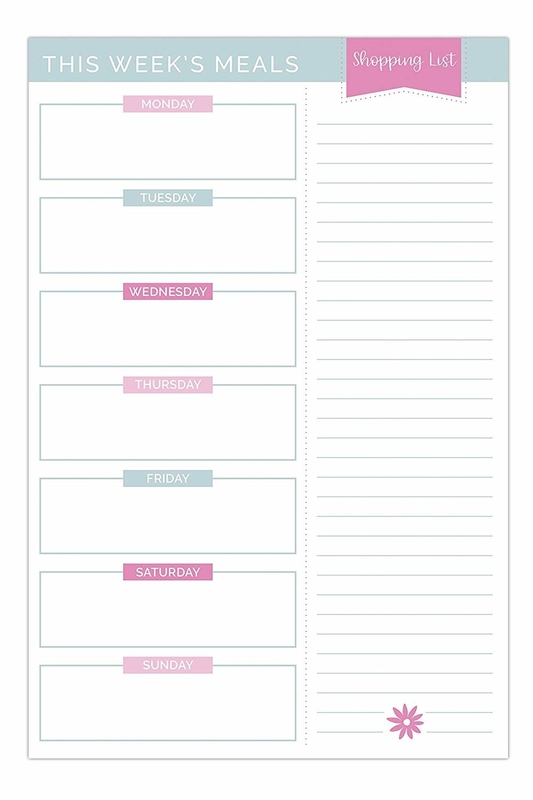 A magnetic note pad that's divided into two perforated columns so you can actually get organized and motivated for your meal-prepped week. 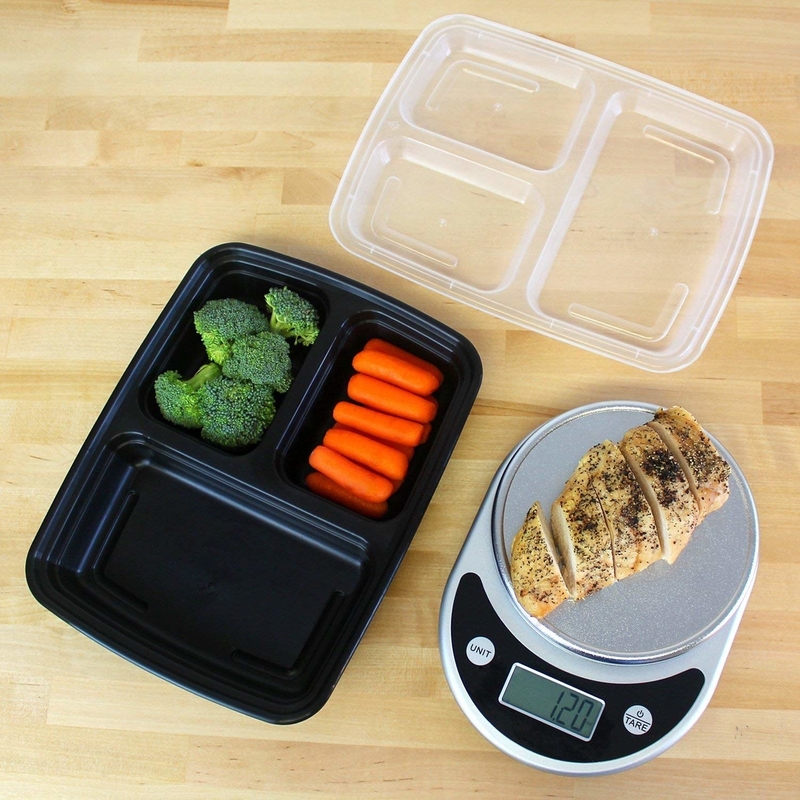 The perforation lets you plan your meals, make your grocery list, then tear off that full grocery list while still leaving that week's meals intact on your fridge. 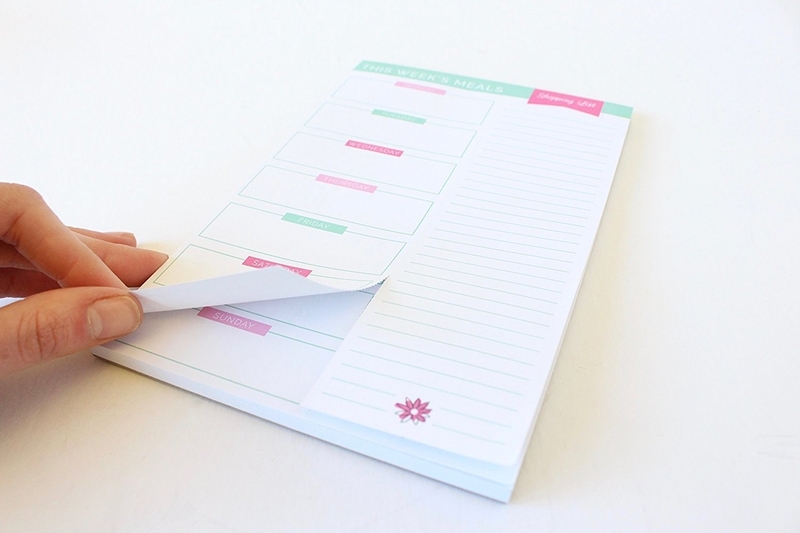 (And you'll have a blank grocery list you can write on through the week). Get it on Amazon for $9.95. 2. A cookbook written by a dietician — it'll guide you through the whole process, and help supplement all the ideas you get from Pinterest. Get the paperback for $12.21 on Amazon. 3. 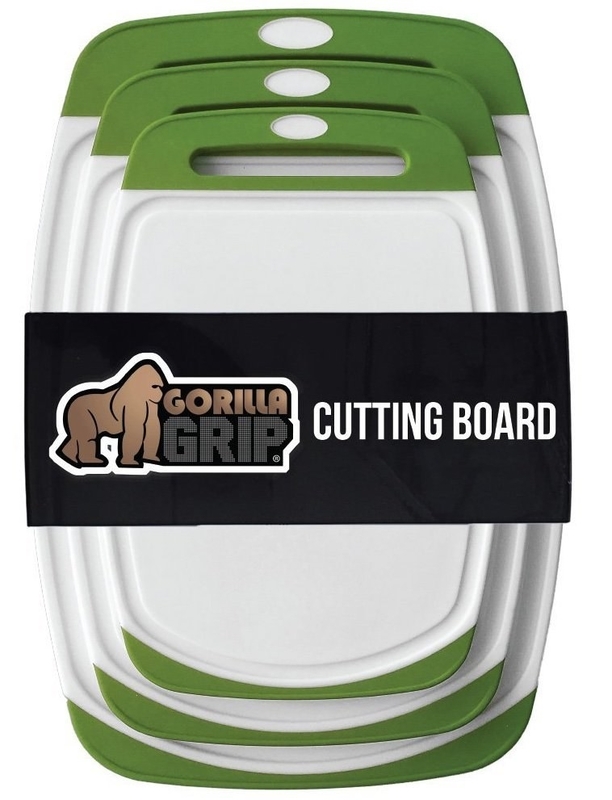 A set of three anti-skid plastic cutting boards in different sizes, so you have a go-to set to pull out every time you get to chopping an entire week's worth of veggies at once. FYI, while soap and water work most of the time, if you cut raw chicken or other meat on them, make sure to sanitize with 1:1 diluted bleach. Get the set of three on Amazon for $19.99 (five colors available). 4. Or a large reversible maple cutting board that'll keep your knives sharp and probably last you the rest of your life. If you take care of it, of course, and never put it in the dishwasher. When you use it for veggies, all you need to do is rinse it off (using a little mild soap if needed), then once a week or so rub on a few drops of food-safe mineral oil. For meats, I'd rinse/wash with mild soap, then wipe down with 1:1 diluted bleach, let dry, and treat with mineral oil. Promising review: "Wow, what a great looking cutting board. It's sturdy, gorgeous and really made well of the best looking hard maple. It comes pre-oil-treated and ready to use. I did give it a fresh oil coat after reading the enclosed care instructions just to be safe. Made my first salad on it today and just love it. Get it on Amazon for $69.95, and a 12oz bottle of cutting board oil for $8.98. 5. And basic-but-sharp chef's knife to make quick work of everything from broccoli to green beans to squash to sweet potatoes. I don't know about you, but when it's time to chop veggies, I reach for my chef's knife more than anything else. Promising review: "Best knife you will find unless you are willing to pay around $1,000 to cut things slightly better. It cuts things...and it cuts things well. What more do you need to know? Buy it already! Seriously though, we wanted to get some grown up knives because we like to cook and were tried of the low quality sets. Get it on Amazon for $44.95. 6. 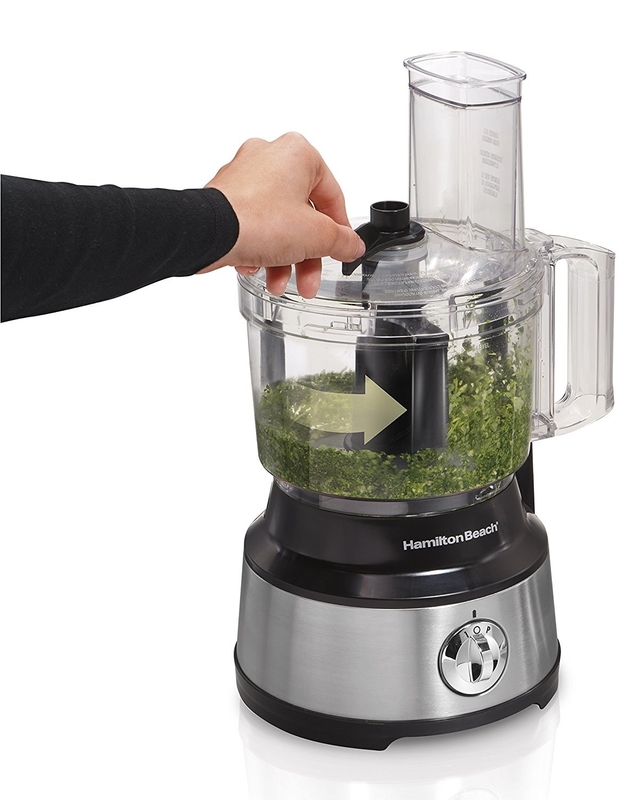 A food processor that'll happily dice up all the veggies you need in next to no time. This one also has handy little arms that scrape down the sides of the bowl, so you don't have to stop what you're doing and pull out a spatula. Promising review: "I do a lot of window shopping before I decide on something. My SO goes nuts because it takes me three months to decide on a kitchen knife. That being said, I did my usual amount of research before buying this thing and my due diligence did not fail me yet again. The scraper is seriously so useful. Being Korean, I make kimchee every couple of months or so — which means a lot of friggin' garlic. This thing is awesome for mincing up some serious amounts of garlic because, usually, bigger chunks tend to get stuck at the top and not get minced evenly. But the scraper solves that problem. I also tried using it to process crab meat to make it flaky to make California rolls and the motor can handle dry and dense foods like crab meat. And I tried processing chicken breast for chicken salad with it and no problems there either. The control options are pretty basic but if you can handle your own around a kitchen then gadgets with crazy settings only get in the way. With this product, there is absolutely no need to hesitate." —Josh W.
Get it on Amazon for $38.99. 7. 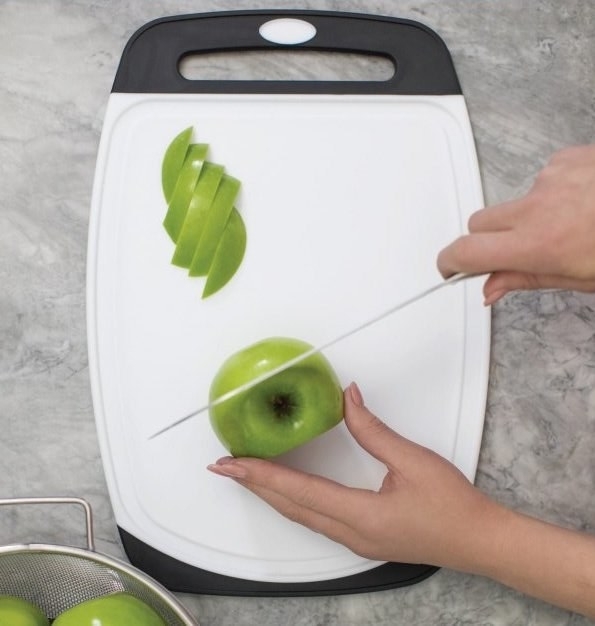 Or the manual-powered One-Second Slicer, which will slice or dice your veggies in half the time it takes you with a knife, unless you're basically a pro chef already. 8. 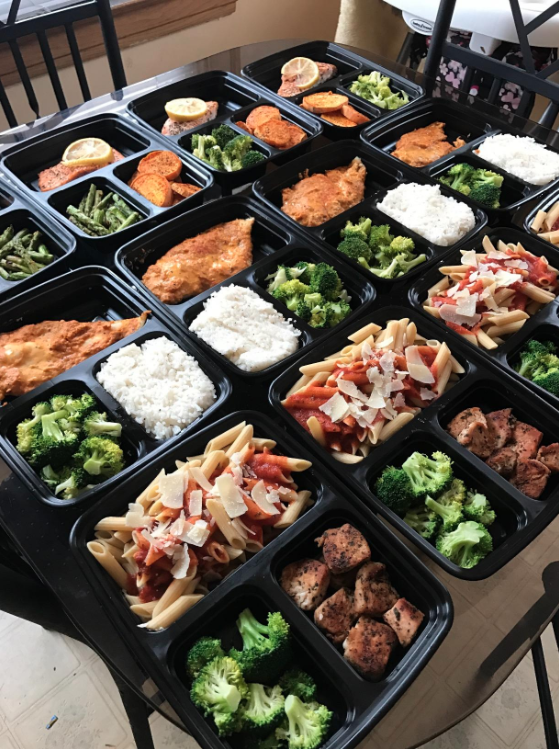 A pack of 15 three-section plastic bento boxes perfect for bulk-prepping lunch and dinner for two people for a few days. Promising review: "These are pretty great little containers. I use them for meal prepping. - Compartments are a reasonable size. I put the veggies in the big compartment and the meat and starches in the smaller compartments. 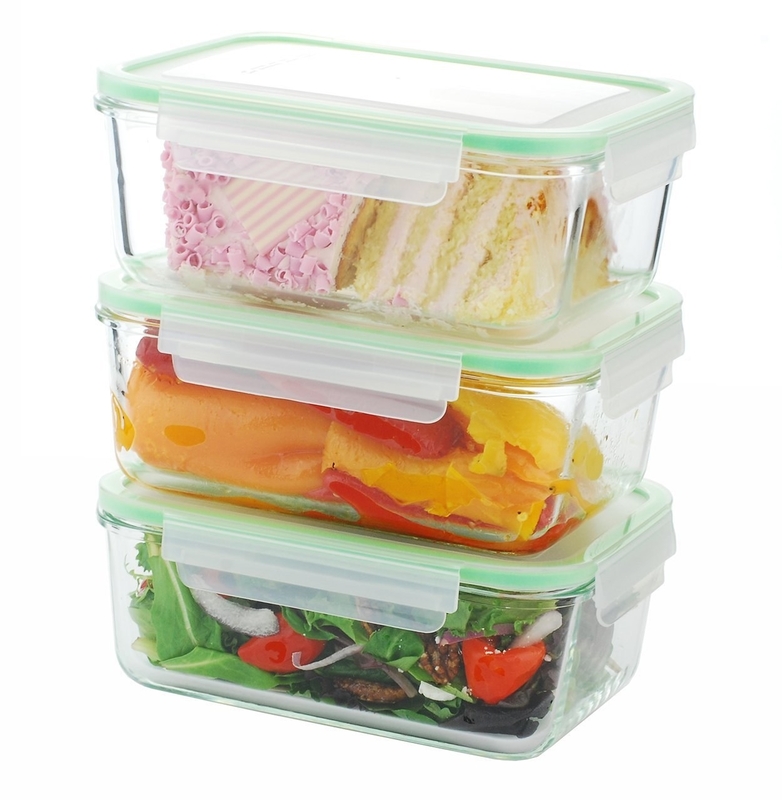 - Containers and lids stack very easily to take up minimum space in the cupboard. - Hold up well in the dishwasher, including the heated dry setting. 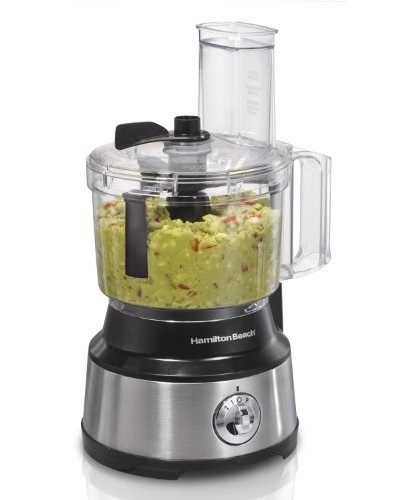 - Good value for what you get... price is much lower than comparable products. 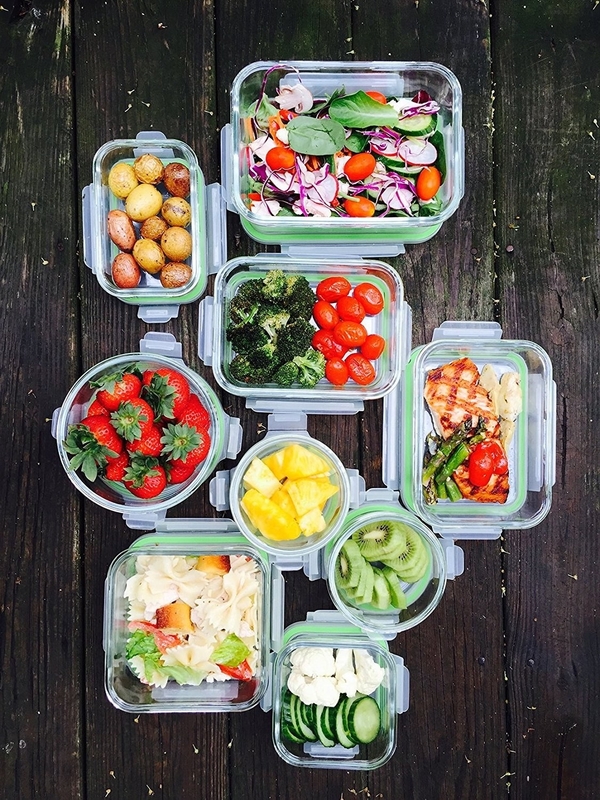 - Lids fit tight but not so tight that you can tip them or invert them... they have to stay flat in your lunch bag or fridge or they will leak. Best for fairly dry/thick foods. 9. 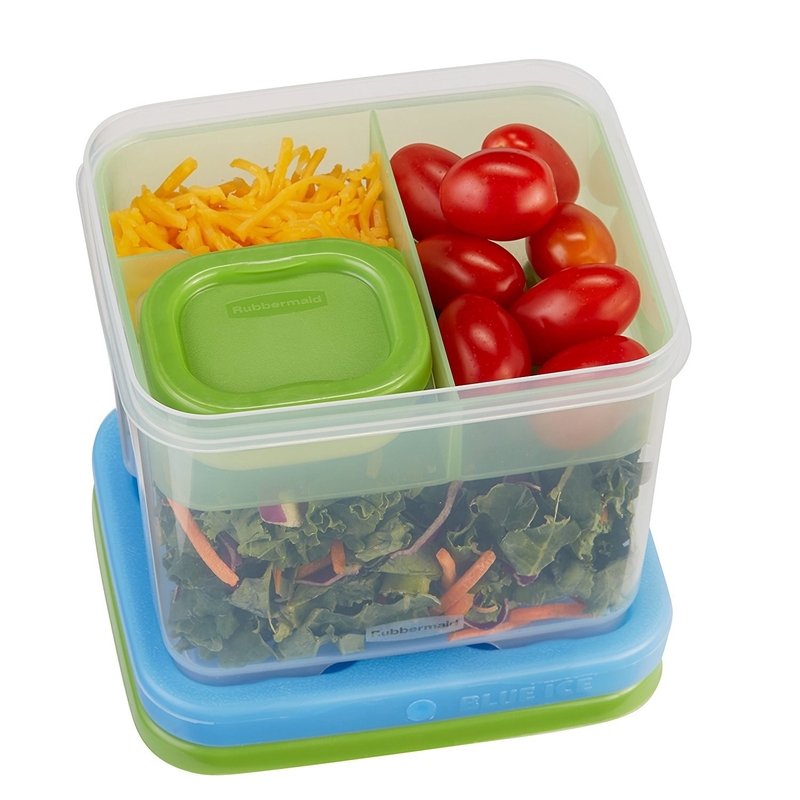 Or a set of three glass containers with snap-on plastic lids that promise they'll keep all your food fresh and make it super easy to microwave. Get the set on Amazon for $43.50. 10. Classic kitchen shears for tackling all sorts of prep tasks from asparagus to raw chicken, without batting an eye even once. I've had a pair of these for over six years, and they're still going strong — and they're hands-down the absolute easiest way to cut boneless, skinless chicken breasts into one-inch pieces for sautés and tray bakes, at least IMO. Promising review: "So far, these kitchen scissors have been excellent. They are heavy duty, allowing me to cut through large pieces of beef or chicken, and the handles do not bend or distort their shape while I'm cutting something thick. The blades are sharp. I use them for opening packages as well, or for cutting sandwiches or pizza into bite sizes for my kiddos. I've used these daily for 2 months, and so far, have not seen any rust in the pivot screw in the center. To wash them, I hold them under the running tap and scrub with a soapy brush, then put them upright, open, in my dish-rack to dry. Bonus: the little blade guard will be perfect for keeping them closed to take on a camping trip. Get them on Amazon for $7.99-$10.50 (five colors). 11. 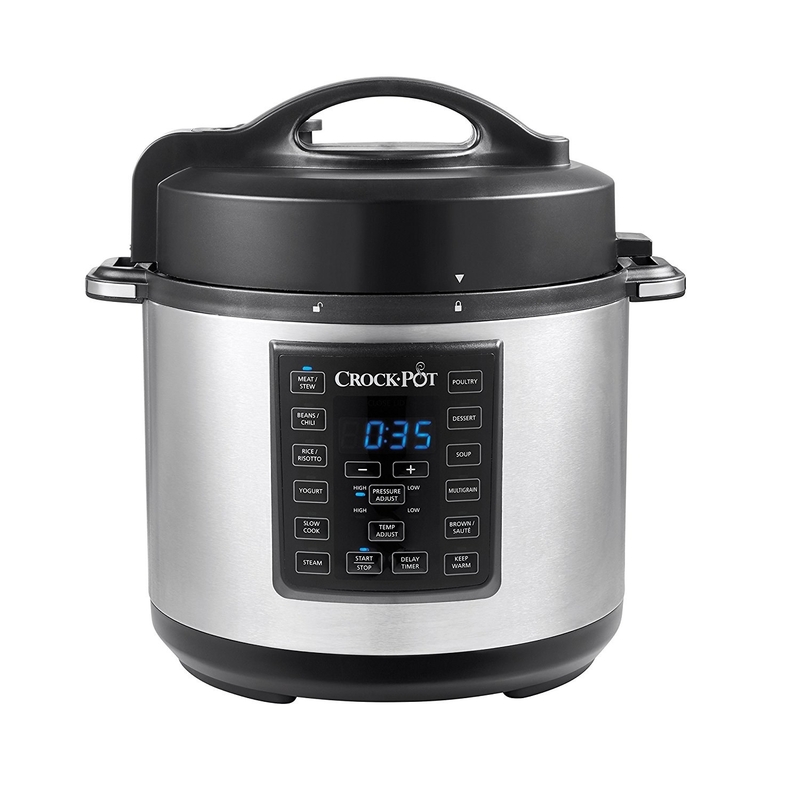 An Instant Pot or a CrockPot Multicooker, either of which will cook all sorts of delicious meals in no time — from chicken enchiladas to lentil soup to turkey meatballs — that you can portion out and eat throughout the week. All in less time than it'd take in your stove or oven. Browse 21 pressure cooker dinner ideas, and 16 five-ingredient pressure cooker recipes. 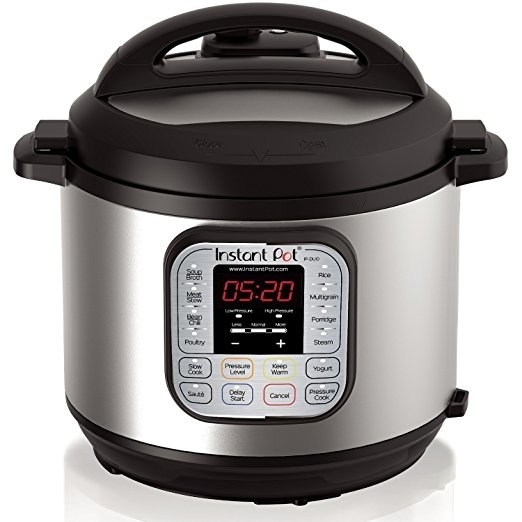 Here's our full review of the Instant Pot. Both six-quart versions are available on Amazon: Get the Instant Pot for $99.95, or the CrockPot for $69. 12. 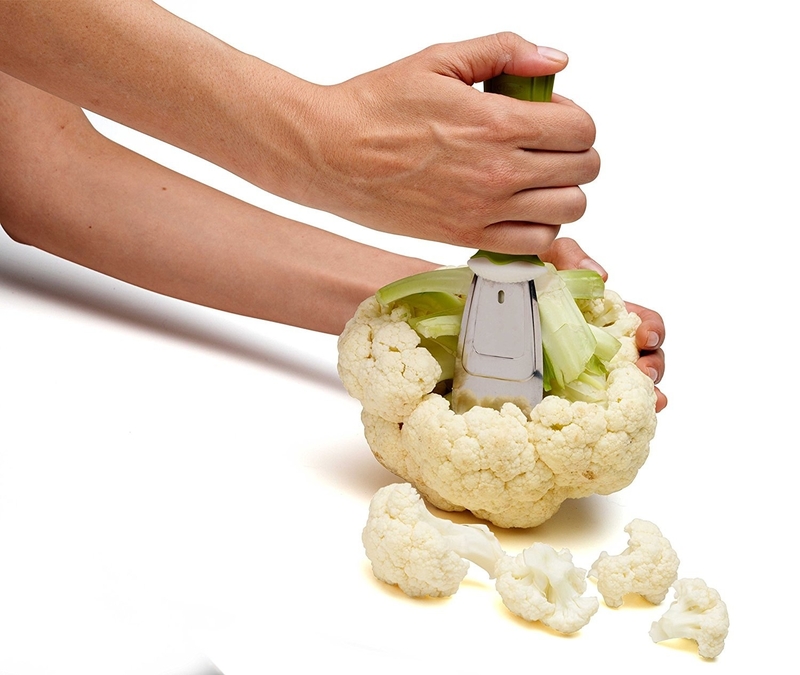 A curved, funky cauliflower prep tool that'll help you break down a big head into individual florets in no time — and that works on broccoli, too. Get it on Amazon for $5.97. 13. A set of produce-saving containers because sometimes you buy a few too many fruit and veggies and want to keep them fresh until you get around to needing them. 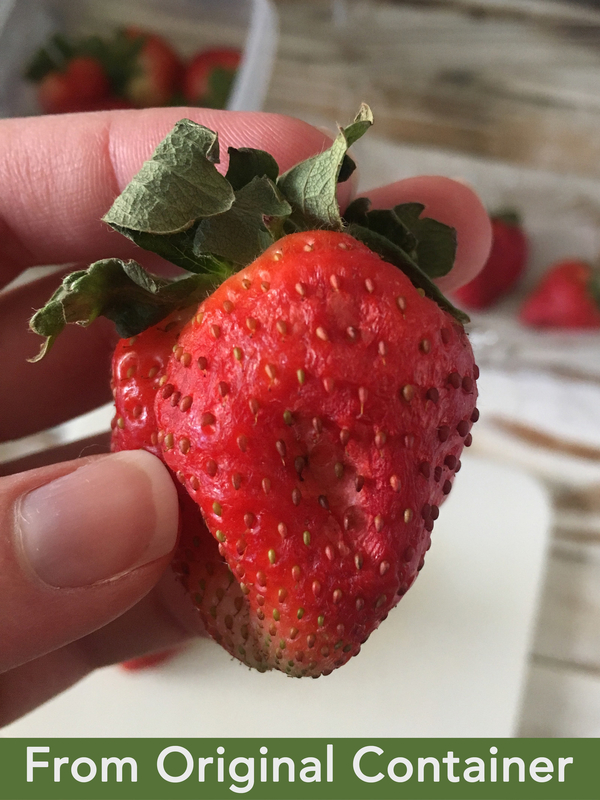 I use these every week for my strawberries and spinach and swear by 'em — read more in my full review. 14. 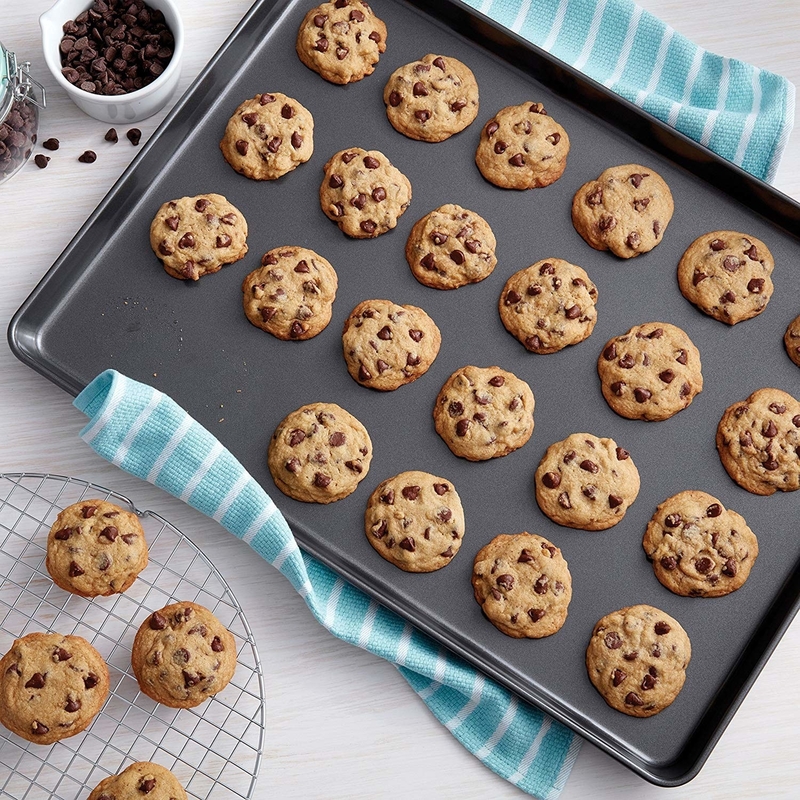 An extra large baking sheet so you can fit all of the chicken and veggies of your latest favorite tray bake without any overcrowding, and get the perfect ~caramelization~. 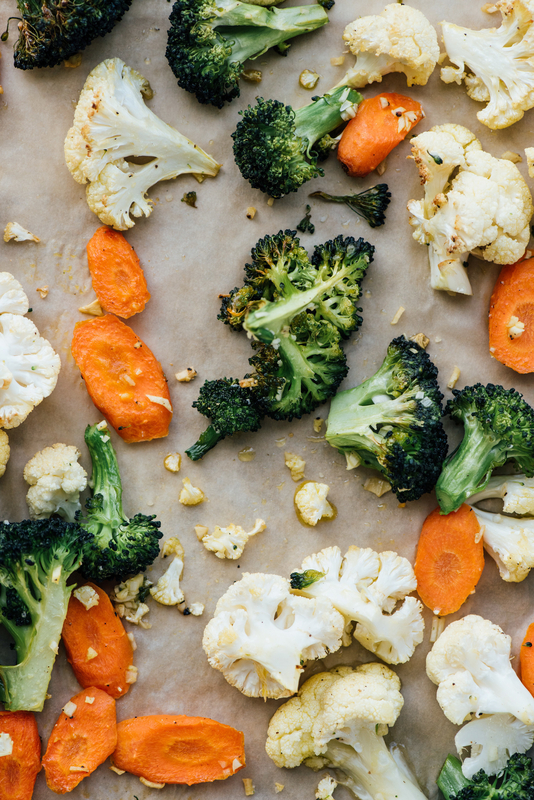 When your roast veggies have enough space (like in the photo on the right), they can truly roast — when you crowd them all on a small baking sheet, they're more likely to steam. FYI, this one's 15''x21'', so just make sure your oven can fit such a large pan. Get it on Amazon for $10.52. And check out the recipes and instructions for Tasty's easy 7-day make-ahead meal plan. 15. A rapid egg cooker that'll free up your stovetop for more important things, and make hard- or softboiled, poached, or scrambled eggs at the press of a button. Breakfast = done. You can hard/softboil up to six eggs at a time, and poach or scramble two. No boiled water required! Promising review: "This thing is awesome. Breakfast in minutes, and preparing hubby's breakfast for the week is fast and easy. I've tried other "fast egg" products like ones that go in the microwave and they were gross — eggs came out tasting/smelling like plastic. No such issues with this product. Everything tastes delicious. Tip: I've found if you are adding cheese to your omelette/scramble, you should do that at the end. Otherwise it tends not to cook on the bottom of your eggs. I've also found I have to add a very slight bit more water than the line designates for scrambled eggs, otherwise they are still a little too raw (even after waiting the recommended 2 min after the finished buzz, though we are at a high altitude)." —Sophia M.
Get it from Amazon for $19.99 (four colors). 16. A set of three mini salad-dressing bottles so you can pack all your favorite sauces without a worry that they'll leak all over the place. And depending on how much dressing you like, one small bottle's worth may last you a couple of days! Get the set of three on Amazon for $10. 17. 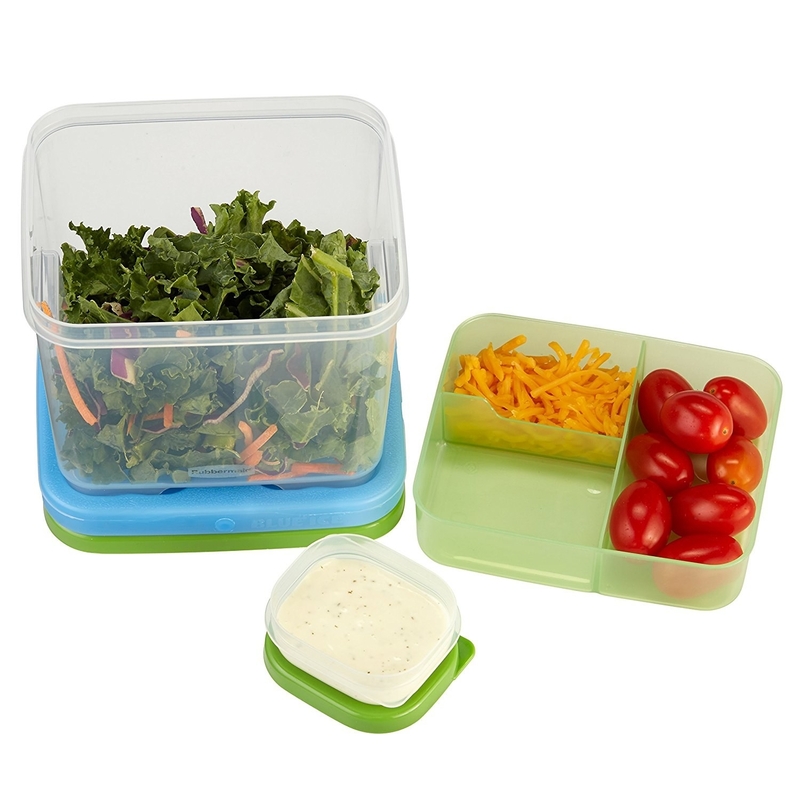 Or a salad kit designed specifically for packing your favorite greens and toppings so they stay fresh on the go, wherever you end up enjoying your lunch most days. It even comes with a little ice block (the blue thing) that'll keep everything nice and chilled on your commute, until you can pop it in the office fridge. Get it on Amazon for $8.19. 18. 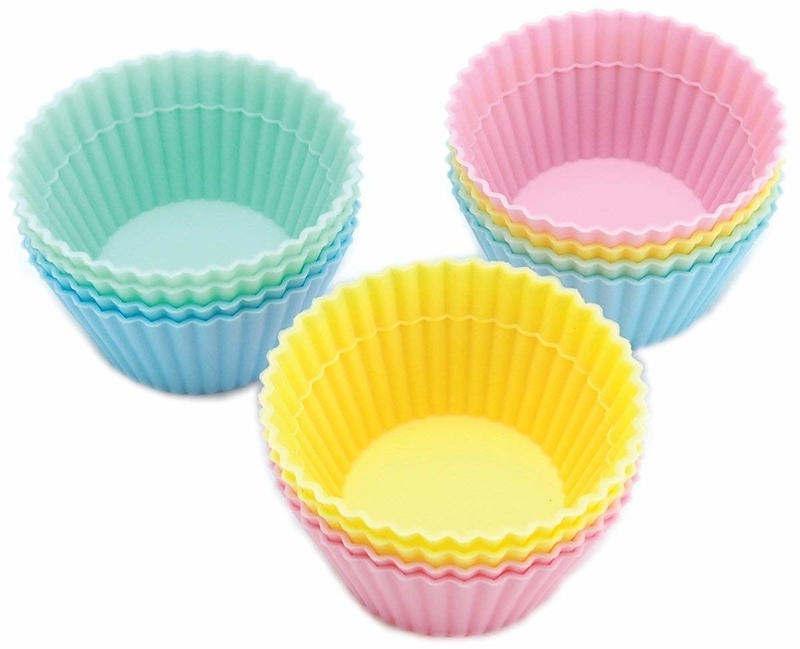 A set of silicone cupcake liners perfect for oatmeal or egg breakfast cups or even to divide bigger containers into bento-like sections. Promising review: "These cups are awesome!! My biggest problem is keeping people from throwing them away like the paper liners!!! They clean beautifully with a little soap and water and air dry or gently dry with a paper towel. 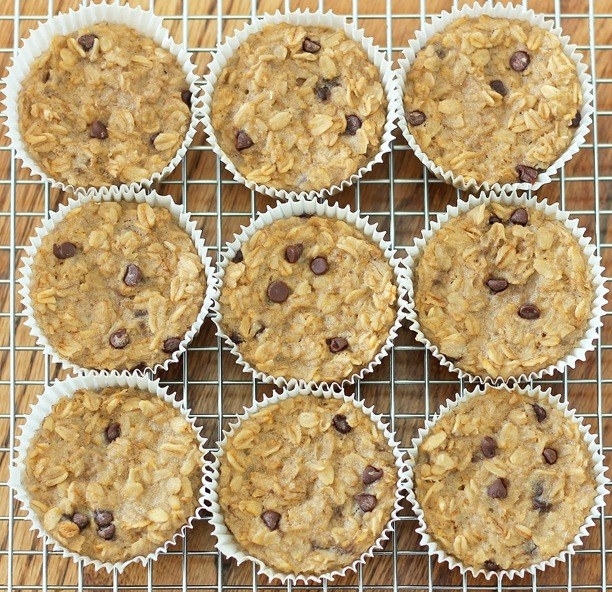 Get a pack of 12 for $8.24, and the recipe for these breakfast oatmeal cupcakes on Chocolate Covered Katie. 19. 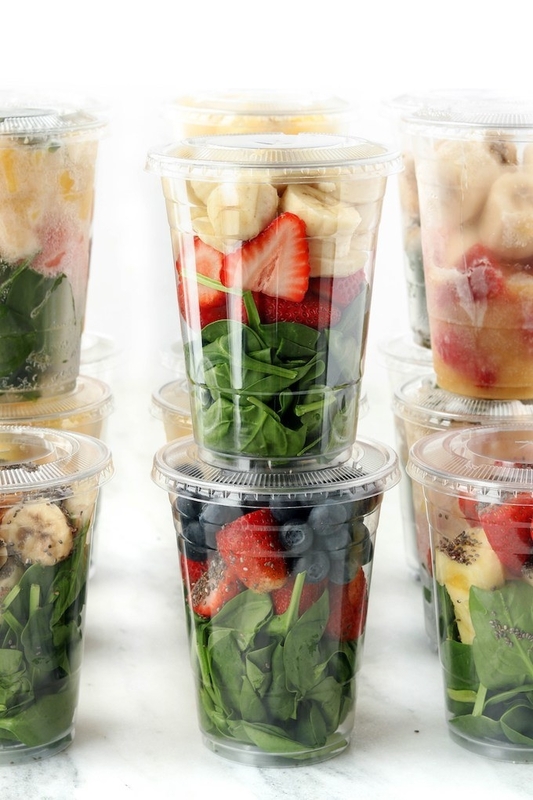 Several reusable silicone plastic bags or a pack of mason jars, so you can batch prep smoothie ingredients in advance, keep 'em in the freezer, and day-of simply dump everything and blend. Promising review of the silicone bag: "Needless to say, the seal is great and easy to operate, even for school-aged kids. It is flexible but keeps its form. 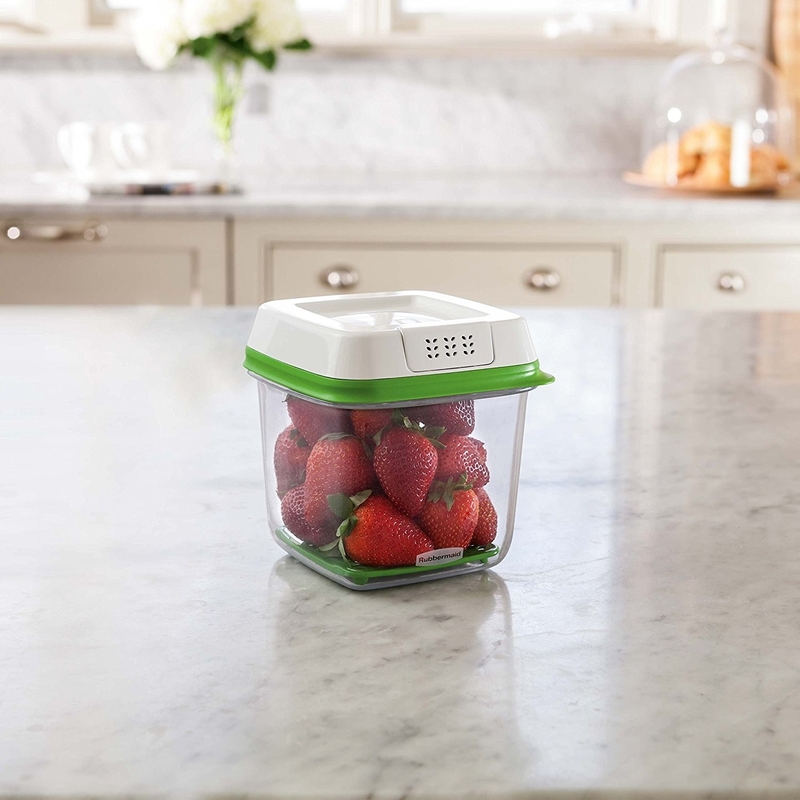 This is perfect for juicy cut fruits (with a long fork if eating out of the bag) or grapes. I never put grapes in zipped reusable bags, in case the those bags and the grapes inside get crushed, thus making a mess inside and out. Because this one is slightly stiffer, fruits, along with items like crackers and pretzel sticks are better-protected. It washes fine in the dishwasher but can take a while to dry, depending on your dishwasher's drying technology. 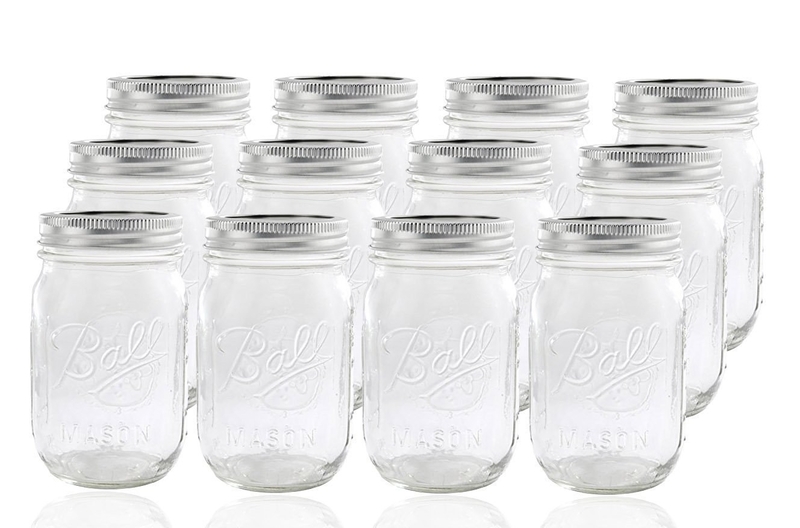 Be sure to straddle the bag across a few tines to keep the bag open during the wash."
Promising reviews of the mason jars: "Love my new jars. I use them for meal prep mostly. They hold up well in microwave, no problems in dishwasher, no rust on tops." —Ashley S.
Get the silicone bags on Amazon for $11.99 each, or 12 mason jars for $21.18. 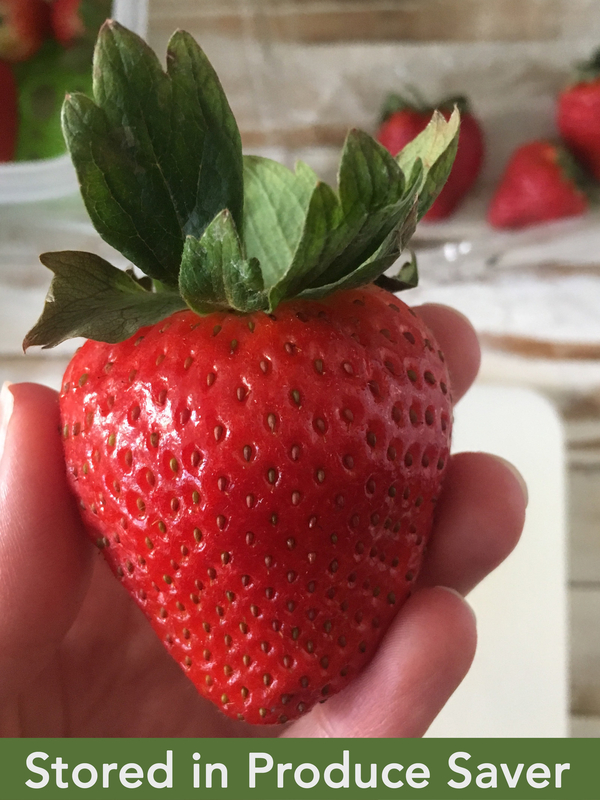 And learn more about batch-prepping smoothies from Simply Sissom. 20. The mason jars also work perfectly for transporting layered salads from your fridge to wherever you end up eating lunch. As a frequent mason-jar-salad-packer, this ~order of ingredients~ really does work; I just recommend also bringing (or finding) a plate or big-ish bowl to eat out of — because it'll be difficult to mix everything together, otherwise. Again, you can get the pack of 12 on Amazon for $21.18. Browse 17 other mason jar salad recipes, or get the recipe for this simple salad on Pass the Plants. 21. 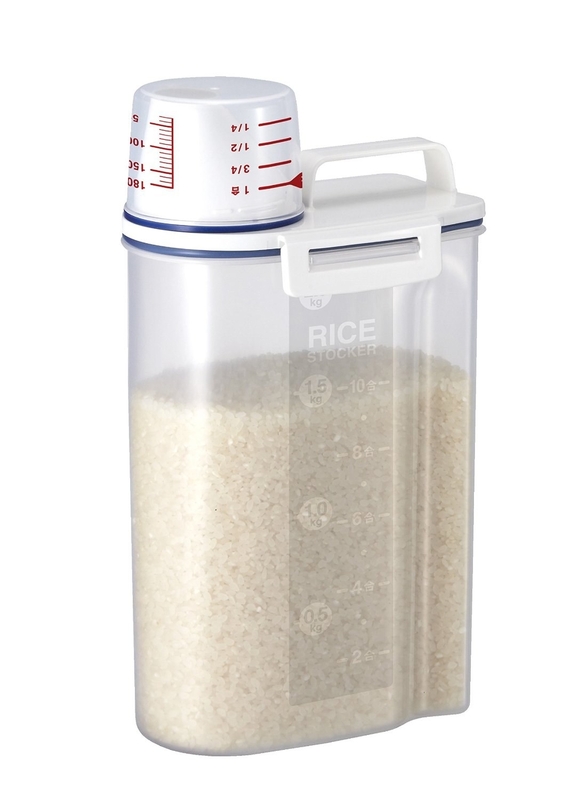 At least a starter set of eight measuring cups and spoons, so you can accurately portion out a cup of rice into each of five individual containers or measure out a tablespoon of dried herbs. And, y'know, besides that: get your recipes cooked. Promising review: "These aren't the highest quality set of measuring cups/spoons you're going to find, but they're a great starter set or plastic replacement! I bought these to replace my cheap plastic measuring cups/spoons due to the marks wearing off. I love having the numbers etched into the metal. It's a relief not having to worry about the markings wearing off like my old plastic set. For your basic day to day cooking, there's really no reason to dislike them!" —Stuart H.
Get the set on Amazon for $9.95. 22. An angled measuring cup that makes it easy to see how much of a liquid you have by looking at the top, so you don't have to crouch down to see the measurements on the side. Get it on Amazon for $7.99 (available in four tablespoon, one cup, two cup, and four cup sizes). 23. A kale and herb stripper that lays flat on your cutting board, so you can cut down on the time it takes to prep big leafy greens like kale and even some herbs, like rosemary and thyme. Get one on Amazon for $9.99. 24. A set of four glass mixing bowls that actually come with lids so they can double as extra storage containers, all depending on what you're cooking each week. Of course they're dishwasher, freezer, and microwave safe, and the glass is even safe in the oven. Get the set on Amazon for $35.99. 25. And four colorful mini prep bowls so you can keep your kitchen counter organized while you're multitasking your way to easy, relaxed weeknights. Get them on Amazon for $11.49. 26. 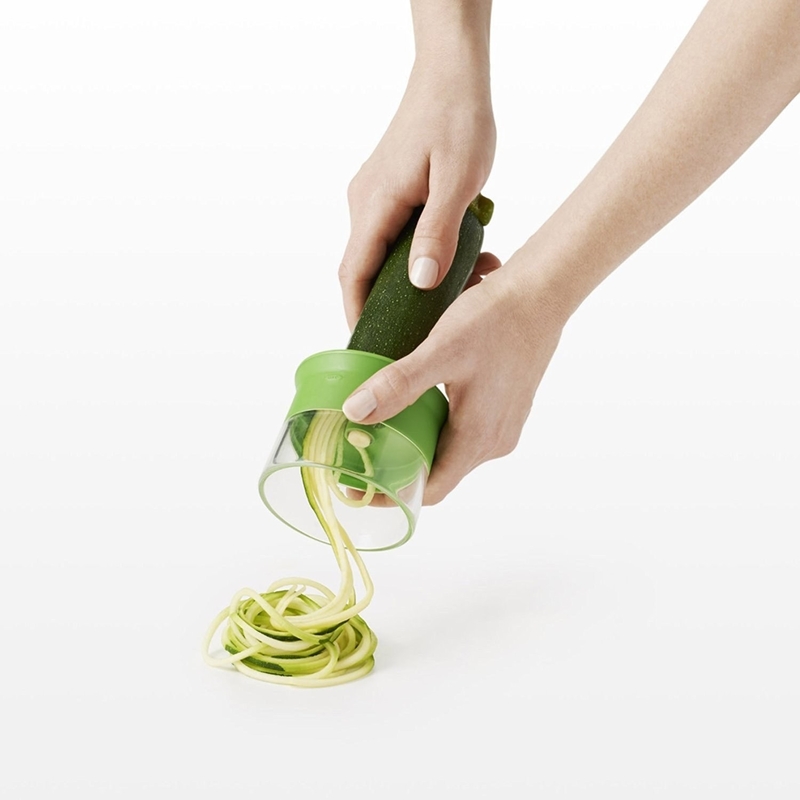 A handheld spiralizer that'll make zucchini noodles in a flash *without* taking up a whole shelf in your tiny kitchen (like one of the big spiralizers would). 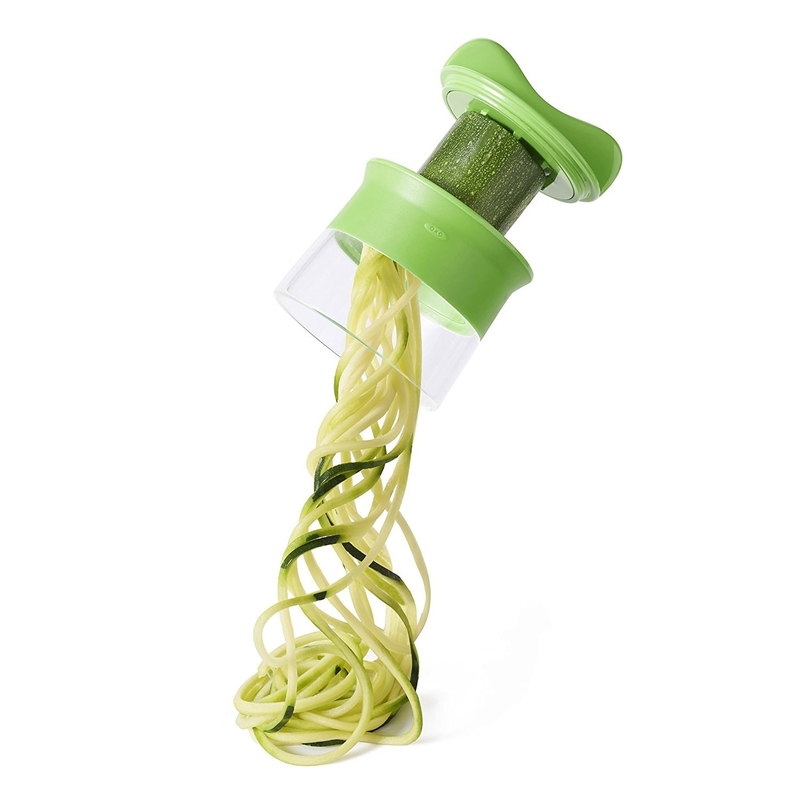 If you're into spiralized veggies, of course. Get it on Amazon for $14.80. 27. 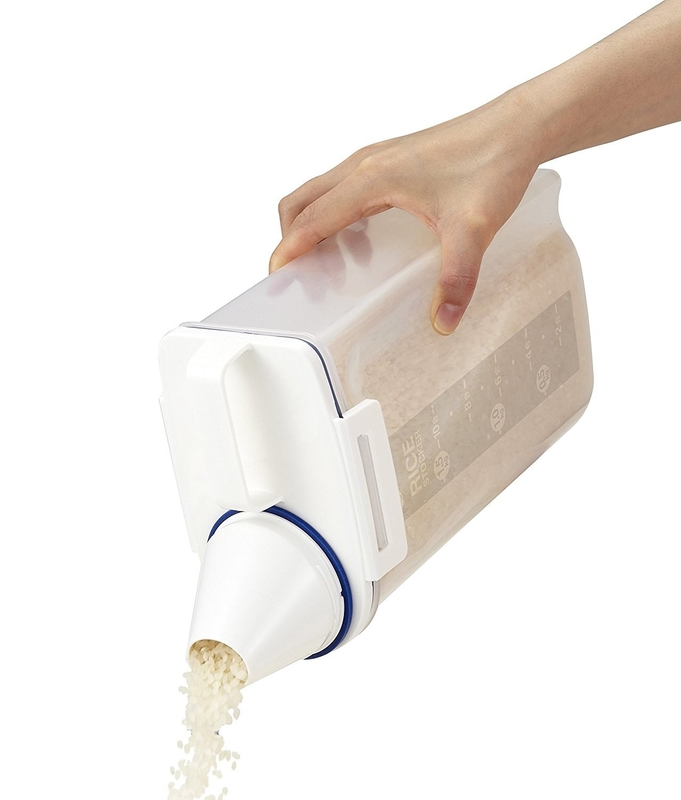 An oversized rice storage container that makes bulk rice — or other grains, cereals, and flours — incredibly easy to store, measure, and pour. Get one on Amazon for $9.49. Amazon Prime Day is happening July 16–17 this year! Here's everything we know so far about the best deals to shop.